While other air gun manufacturers struggle to break 1200 feet per second in .177, the new AirForce Condor easily achieves 1250 fps in .22, making it one of the most powerful production pellet gun known in this caliber. 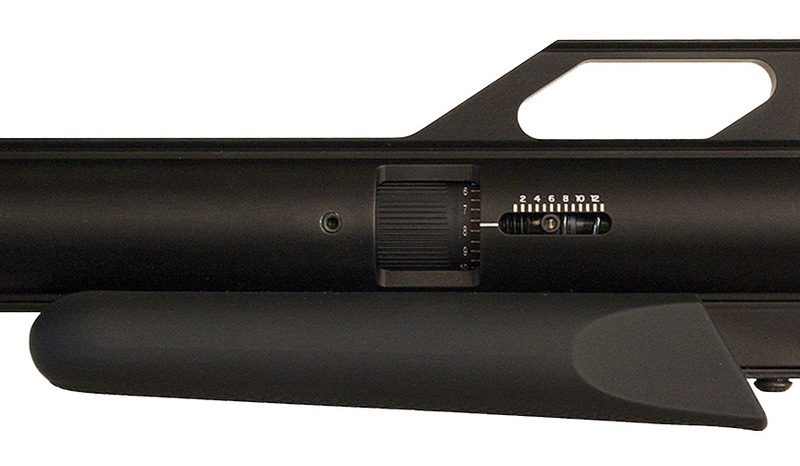 An integral extended scope rail allows easy mounting of the largest air gun scopes or other specialized optical sighting devices. Additional dovetail rails allow mounting lasers, bipods, and other accessories to provide the shooter with an adaptive airgun shooting system. 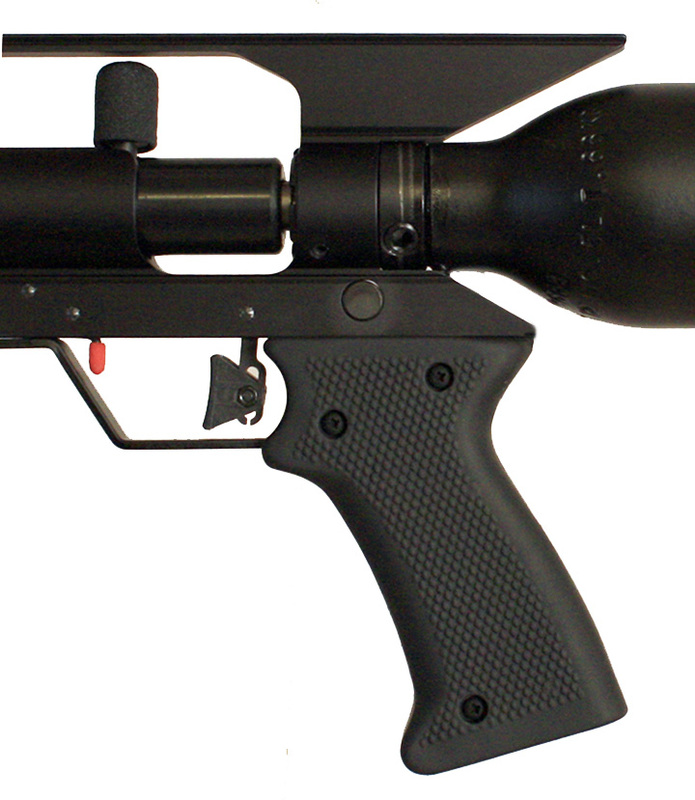 Designed for air gun hunting in the growing number of states that allow hunting, this system can also be used by various military and law enforcement agencies for pest control or special tactical applications. 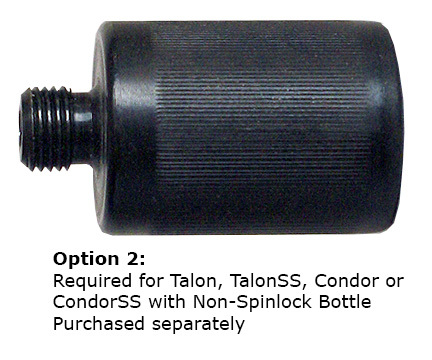 The AirForce Condor is a quality PCP (Pre-Charged Pneumatic) air rifle with a definite "one-of-a-kind" look. The Condor features a Lothar Walther premium match barrel and features three accessory rails for mounting scopes, lights, lasers, night vision equipment and other sighting devices. 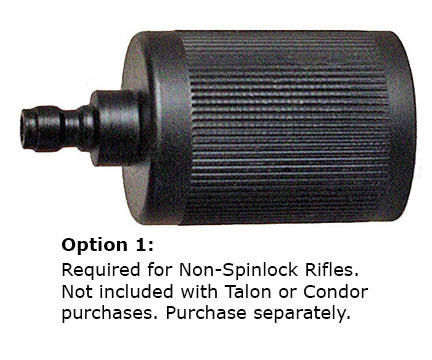 We do recommend using a high mount with this rifle regardless of which scope you choose to use. Micro-adjustable power levels permit velocity adjustments over a wide range. 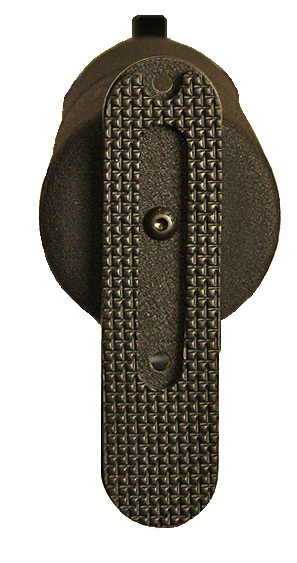 The fire control system features an automatic safety, an easily accessible safety release, a two-stage trigger, an oversized cocking knob and a large pellet loading port. 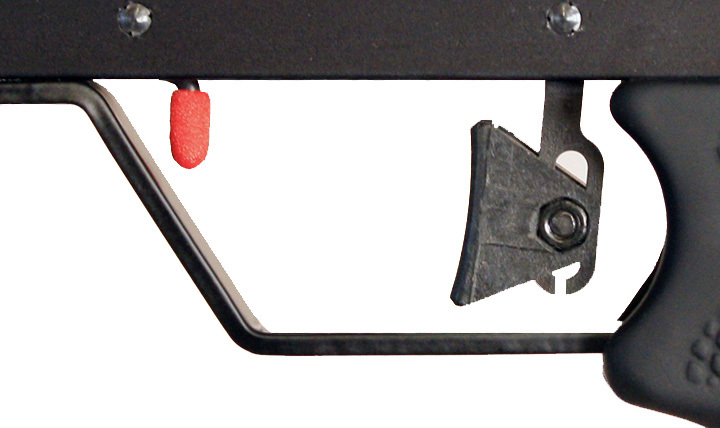 All rail mounted accessories feature coin-slotted screws for easy changes to suit various shooting applications.